This Nov 27th is #GivingTuesday. This year we are fundraising to support the Housing For Hope Program. Facebook and PayPal are matching donations on Facebook for a total of up to $7 million dollars. In addition, your donations to Steven’s Hope could be matched! Mark your calendar and help us reach our $5,000 goal to the Housing For Hope Program. If you want to help, it’s easy to create your own fundraiser to support Steven’s Hope and the Housing For Hope Program. Just go to Then, enter Steven’s Hope and the amount you would like to try to raise on your own fundraiser. For more details, click here. Together, we can meet the goal of a one day total of $5,000 and maybe even have some of it matched by Facebook and PayPal! For the fifth consecutive year, Steven’s Hope is holding a backpack drive to help children be prepared for a successful school year. 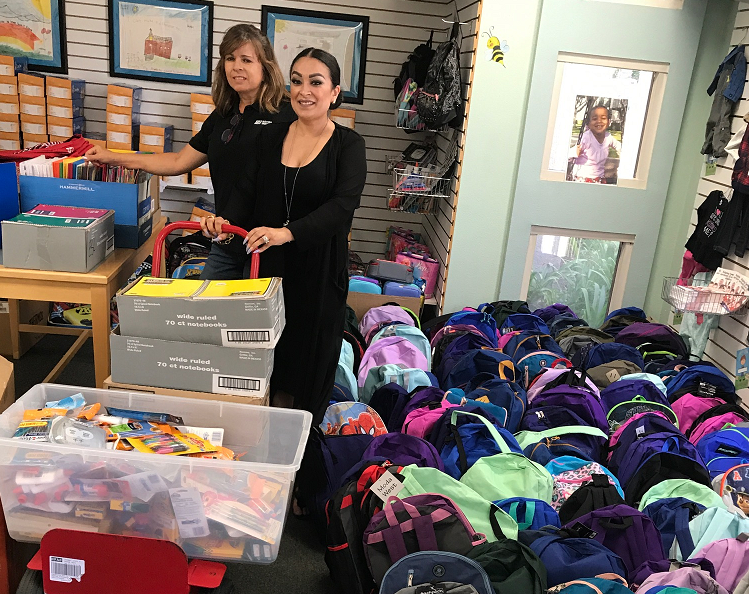 Sandy Cappelli, Vice President and Operations Director, stated that many families Steven’s Hope helps are unable to provide necessities, such as school supplies to their children and that this backpack drive is able to help these families have a sense of normalcy back in their lives. And, to get the kids as ready as possible to learn. Items that are needed to fill the backpacks can downloaded from the Steven’s Hope for Children website at http://stevenshope.org/backpack/contents/ This year all backpacks, supplies and donations need to be received by July 25 at 5:00 PM. Deliveries can be made at Steven’s Hope for Children, 1014 W. Foothill Blvd, Suite # B, Upland, CA.